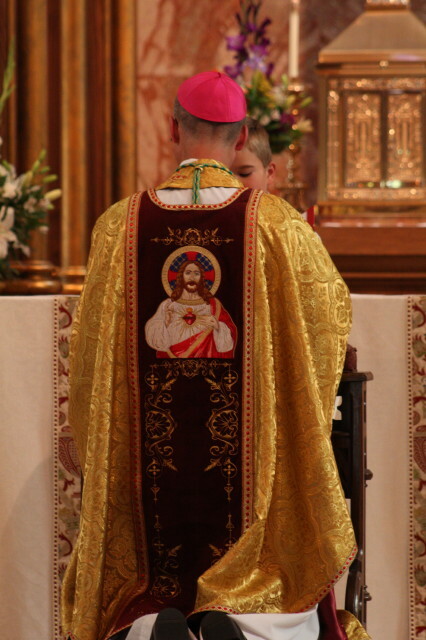 For several months, I have looked forward to this celebration of the Sacred Heart of Jesus. I’m not sure how to put the desire of my heart into words, and part of that I hope is because I believe the desire is that of the heart of Jesus. I had hoped on this day that we would be ready to promulgate our diocesan pastoral strategic plan. However, there is still a bit more work that needs to be done in this regard, and that work is mostly a work of prayer and discernment regarding the redaction of the vast amount of information that has been shared and compiled over these recent months. 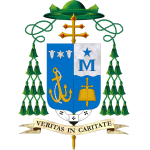 I wish to thank the many people who have attended the numerous listening sessions, and especially the priority task force members and diocesan pastoral council for their hard work. The celebration of this Solemnity of the Sacred Heart is significant as we enter into a time of renewal in this diocese. Our pastoral strategic plan is meant to be a guide for all of us as we strive to open ourselves to the power and presence of God at work in the Church and in each of our lives. All pastoral ministry is to strengthen our life in Jesus Christ. It is a dual and simultaneous process of personal growth in holiness which leads to the ongoing mission of the Church. It is both personal and communal at one and the same time. This process by definition requires close attention to our relationship with Christ. It requires time spent in intimate communion with Christ, and there is no better means of entering into this Communion than through the Sacraments, spending time with God’s Word, spending time in quiet prayer and contemplation, and devoting conscious effort to acts of charity and love. In a world where many still do not know Christ and at this time when a growing number seem to publically advocate denying Christ and His Gospel which preaches His absolute Truth, we publically today consecrate ourselves to Christ and renew our commitment to preaching Christ and His truth to the people of this time and place, of this Diocese of Cheyenne. In this culture of today, our world needs each and every one of us who claims to be Christian, to be men and women of integrity and people genuinely striving to lead lives that are holy and pleasing to God, and this means lives that are deeply rooted in Jesus Christ. 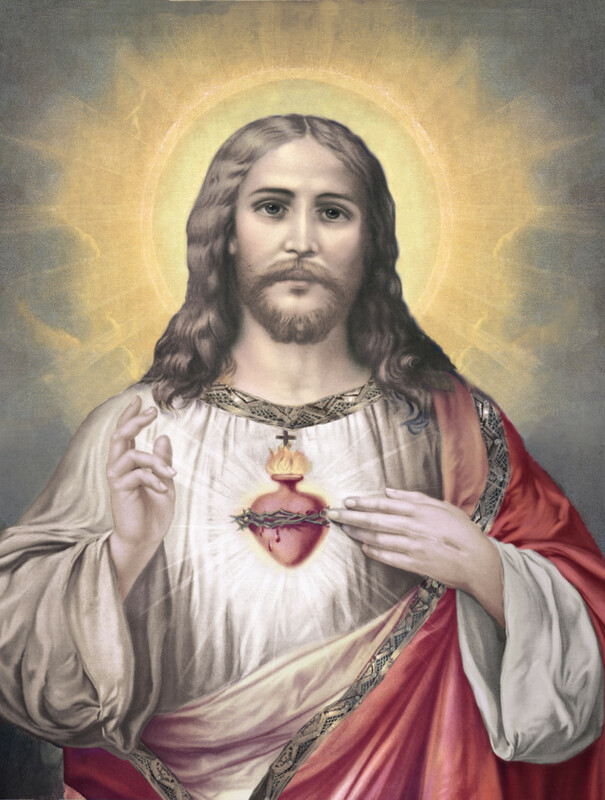 On our pilgrimage of faith, and this Solemnity of the Sacred Heart, we call upon Jesus Christ to renew His grace and presence within us as individuals, and with this, His one, holy, catholic and apostolic Church. We pray that Christ will renew within us a moral strength and virtuous compass as we strive to live the Gospel values that will further God’s Kingdom in our midst. For us to be renewed in such virtue and holiness and moral integrity, we need Jesus. We cannot do this of our own accord or any way we would fashion for ourselves. It is only by the grace of God and the person of Jesus Christ and the working of the Holy Spirit that such renewal can and will take place. In the Gospel today, (Mt 11: 25-30) Jesus encourages us: “Come to me…” and so we do. In the Gospel today, Jesus says: “learn from me…” and so we beg from the Master Teacher such instruction. Jesus even tells us what He longs to teach… “meekness and humility.” The method and manner of His instruction is His yoke and burden, which is none other than the cross, where his life was given out of love of humanity in obedience to the will of the Father. Jesus’ classroom of love and His chair of instruction is none other than the cross, where His side was pierced to reveal the infinite love of His Divine Heart. On this Solemnity of the Sacred Heart of Jesus, I am making a clear and urgent call to all: be renewed in Christ! Come to Christ!, and for some, perhaps many, this is a clear invitation to return to Christ and his Church! Learn from Christ! May the love of Christ compel us that our church may be renewed. We have many challenges ahead of us as Church, but with Christ, all things are possible. In Christ, all things are made new, and for Christ, we will make a gift of each of our lives for the love of God, for the love of His Church, for the love of the world and God’s people. May Mary, the Mother of God intercede for us in our renewed commitment to Christ and His Church! May the months and years ahead be filled with much grace and many blessings. Please God, may it be so.